"We partner with only the best in each segment of the market, which is why we are so excited to partner with CallRail." CallRail, the world’s most popular call tracking and analytics provider, today announced the inclusion of SmartBug Media to its new Agency Partner Program. This program grants the top digital marketing agencies in the world the opportunity to land and expand their client base with CallRail's exclusive partner benefits. SmartBug Media, a 65-person Orange County-based Intelligent Inbound™ marketing agency that was recently named HubSpot Global Partner of the Year and HubSpot’s highest-rated agency in the world, was a key early enrollee in CallRail’s Agency Partner Program. SmartBug’s focus on measurement and continuous improvement led it to partner with CallRail. CallRail’s Agency Partner Program aims to help the more than 200 agencies already enrolled in the program attain their business goals including more leads, clearer attribution and boosting their overall bottom line. As a designated Agency Partner, SmartBug Media has an insider’s view of CallRail and exclusive access to specialized sales support and educational resources. For more information about SmartBug Media, visit smartbugmedia.com. To learn more about CallRail and their programs and products, visit http://www.callrail.com. SmartBug Media is a globally recognized intelligent inbound marketing agency assisting businesses in growing revenue by generating leads, increasing brand awareness, and building customer loyalty through content marketing, sales enablement, web development, marketing automation, and public relations. As HubSpot's 2018 Global Partner of the Year, SmartBug is the highest-rated HubSpot partner in the world. The company has not only been named to the Inc. 5000 list of fastest-growing companies twice, but it has also won several Great Place to Work® awards. With more than 100 awards for client work in 2018 alone—and a team with a combined 550 marketing certifications—SmartBug is fully dedicated to delivering client success and an unparalleled agency experience. 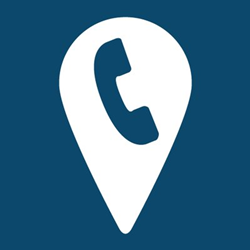 CallRail provides call tracking and analytics to more than 100,000 companies and marketing agencies globally. Its intuitive software helps data-driven marketers optimize the performance of their advertising campaigns, increase sales effectiveness, and improve customer retention. From call tracking, routing, recording, and analytics, CallRail provides valuable data about your leads and customers to help grow your business.